On Wednesday, November 2nd, 2 p.m. NJ Spotlight hosted a webinar on Oral Health in New Jersey: How to Build Stronger Teeth, Healthier Lives. A growing body of research illustrates that dental care is critical not just to preserve a pretty smile; oral health is essential to good nutrition. Deteriorating teeth and gums can contribute to other chronic health issues, and dental problems cause children in America to lose 50 million hours of school each year and adults to miss 164 million hours at work, according to a surgeon general report. And while New Jersey has one of the nation’s most robust healthcare infrastructures, good oral health remains out of reach for far too many residents, including a high number of families living in poverty. 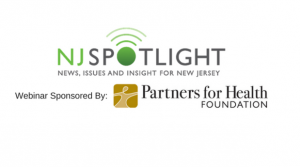 This NJ Spotlight webinar focused on the current status of oral health in the Garden State, how we got here, and how we can improve on the status quo. A panel of experts with state and national experience discussed the importance of oral care, problems with access and affordability, how insurance coverage impacts these issues, and pilot projects that show promise, in New Jersey and elsewhere.